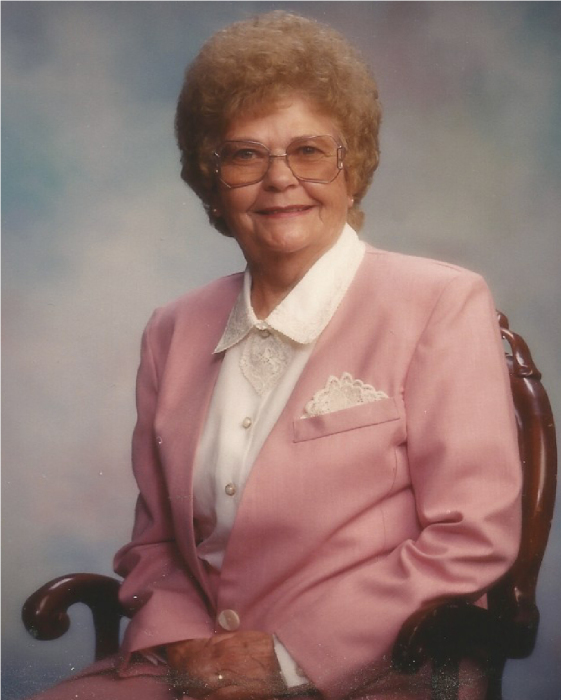 Naomi Mae Hamilton Short of Rupert, Idaho went to be with her Lord and Savior, Jesus Christ on March 23, 2019 at the age of 88. Naomi was born on Oct. 12, 1930 in Ava, Missouri to her parents, Clifford and Neva Hamilton. Naomi was raised by her mother and step-father Claude and Neva Yeisley in Ava, Missouri. As a teenager Naomi worked at a local drug store. Hugh Short traveled to Ava to visit his relatives and found himself at the drug store where he met Naomi. Naomi and Hugh parted ways briefly when he returned to Idaho. After a few letters were exchanged Hugh returned to Ava for Naomi. They were married in Mountain Home, Arkansas on March 23, 1948. Naomi and Hugh moved to Rupert, Idaho where they were blessed with two daughters, Diane Short and Karen Short Arthur. In Rupert Naomi found lifelong friends and enjoyed a life together with Hugh. She cherished spending time with her daughters and grandchildren. She attended church and was an active member of the Syringa Lions. Naomi regularly went on fishing trips with Hugh and their beloved friends. Hugh and Naomi took many trips to Missouri and California to visit Naomi’s family. They always insisted on driving and enjoyed the long trips. Naomi is survived by her daughter Karen Short Arthur of Rupert, her brothers Clifford Hamilton Jr. of Cupertino, CA, and Ray (Carol) Hamilton of Chapin, S.C., sister Karolyn Westmoreland (Henry) of Clovis, CA, her grandchildren, Reed (Carlee) Arthur, Erica Arthur Daniel (Jose) and Matt (Kenna) Arthur. She is also survived by 12 greatgrandchildren. Naomi was preceded in death by her daughter Diane Short, her husband Hugh Short, sister Mildred Hamilton, her mother and stepfather, Neva Yeisley and Claude Yeisley, sister Faye Harper, brother John Yeisley, her father and step-mother Clifford Hamilton and Edna Hamilton, brother Dale Hamilton, and sister RamahLee Proctor. The celebration of life will be 11 a.m. Friday, March 29, 2019 at the Ebenezer Congregational Church in Paul, ID. A viewing will be held at Hansen Mortuary on Thursday, March 28, 2019 from 6 p.m. to 8 p.m. and one hour before the funeral. Graveside service will be concluded at Rupert Cemetery. Funeral arrangements are under the direction of Joel Heward Hansen Mortuary. The family would like to thank Rupert Home Health and Hospice for their wonderful care of Naomi during her last months.